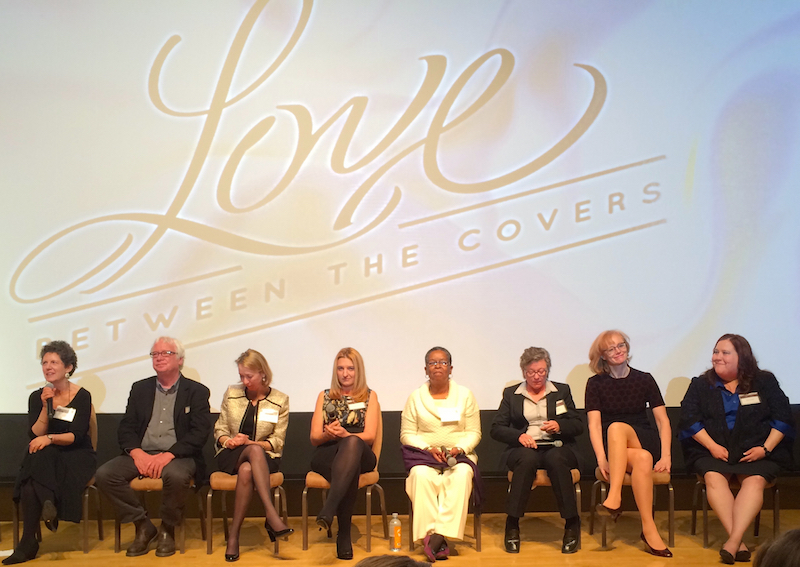 I recently had the privilege of attending the advance screening of Laurie Kahn’s Love Between The Covers documentary (which chronicles the romance community), as well as the day-long What Is Love? : Romance Fiction in the Digital Age conference. Both were sponsored by the Library of Congress and the Popular Romance Project. Both were free. Both were absolutely fantastic. As a writer working toward publication, nothing feels more encouraging, more energizing, more inspiring, than sitting in a room full of people who are as enthusiastic about romance as I am – if not more so. The documentary was amazing – I learned so much, and just delighted in seeing the community, authors, and books I love so well-represented on the screen. A Q&A with director Laurie Kahn and a number of the film’s featured personalities, including Eloisa James, Beverly Jenkins (who is a HOOT, y’all), Radclyffe, Elizabeth Essex, Joann Lockyer, and Kim Castillo followed the screening. The film was warmly received, and listening to the speakers afterward, fantastic. (Yes, I’m full of adjectives, but really, I cannot describe how immensely enjoyable this all was.) Please consider donating to the film; it needs more money for final production, so that it can be shared with the world. The day-long conference featured four panels focusing on different questions/issues facing the romance community. Each panel had five to six commentators. The caliber of the conversation, both from the intelligent, erudite, and often hilarious commentators, as well as the insightful questions posed by the audience, was top-notch. I note here my own limited take-away observations from the four panels. Luckily, each panel was filmed and will be available at the Library of Congress. I, like many others, tweeted salient, informational, or humorous (or all three!) points throughout the day under the hashtag #PopRom. Kiersten Krum storified these tweets (all 1100+ of them! ), and you may find them here. Panel 1: What Belongs in the Romance Canon? There are perhaps three basic romance canons: the historical canon, the academic/literary canon, and the reader’s canon. Gay/lesbian romance and African-American romance are relative newcomers. Eloisa James posited “Perhaps there is no canon,” that romance changes very fast and reflects the cultural moment in which it’s written. Women’s sexual empowerment is a key aspect of romance. Panel 2: What Do the Science and History of Love Reveal? Modern depictions of love do NOT reflect thousands-of-years old archetypes, as the understanding of romantic love today is a recent construction, stemming from the end of the 19th century. Words are not transhistoric, so can we use modern terminology to address the past? The 12th century marked the beginning of the idea that love makes one stronger, not weaker, and is seen as a pushback against the church, especially since many love stories of the period were written in the vernacular. People look to assuage anxieties and needs through different kinds of novels; for many, it’s romance. We have to be aware of how race/class/gender affect sexual expression and culture. The romance community is diverse in many ways, except gender: vast majority of readers and writers are women. The romance community is known for its pay-it-forward attitude. 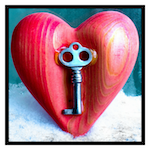 Romance gives us a place to confront our most vulnerable emotions in a safe place. Frustrations with plagiarism and piracy were discussed, but most authors said, don’t let it dissuade you: push forward. Reader-to-reader interaction and word-of-mouth remain key. The empowering message of every novel is that someone will appreciate you for exactly who you are. Free book swag from the Popular Romance Project conference. I can’t wait to dig in! 24% of all e-book sales are romance sales; romance readers are voracious readers. Readers are transforming publishing, and digital publishing has given us this power. The RWA was the first professional organization to accept indie publishing. Women’s genres shape more of current culture than any other media. Three Digital Elements to watch: DIY media, social media, visual/multimedia. Discoverability – This is becoming harder with the deluge of books; the key is to write more books, write more books, write more books. You need to know who/where your readers are, and what they want. New technologies are changing the way stories are told. I attended this conference with my best friend, fellow writer Annika Keswick, so the nerves I might have had if I had attended solo were gone. But I needn’t have worried; at the documentary screening, we met several other women and struck up immediate conversations, even walking back to the metro with a fellow romance junkie, sharing stories along the way. The next morning at the conference, after choosing seats near the front (I wanted to see and hear well, and gawk at the romance celebrities, people), we met Regency author Elizabeth Johns, whom I learned also utilizes the enormously talented Tessa Shapcott for editing purposes. Ms. Johns also introduced me to Julie Cupp of Formatting Fairies, and offered other helpful advice regarding indie publishing. “A lot of people helped me,” she said as a reason behind her friendly, pay-it-forward attitude, an attitude discussed in the panels later on as a rather unique hallmark of the romance community. At lunch, my friend Annika and I scoured the cafeteria for an empty table. No luck. We asked to sit with a woman who was on her own, and again, immediately struck up a friendly conversation, discovering much in common and talking as if we’d known each other longer than a few minutes. Turns out we’d found Kathryn Barrett, a contemporary romance author. 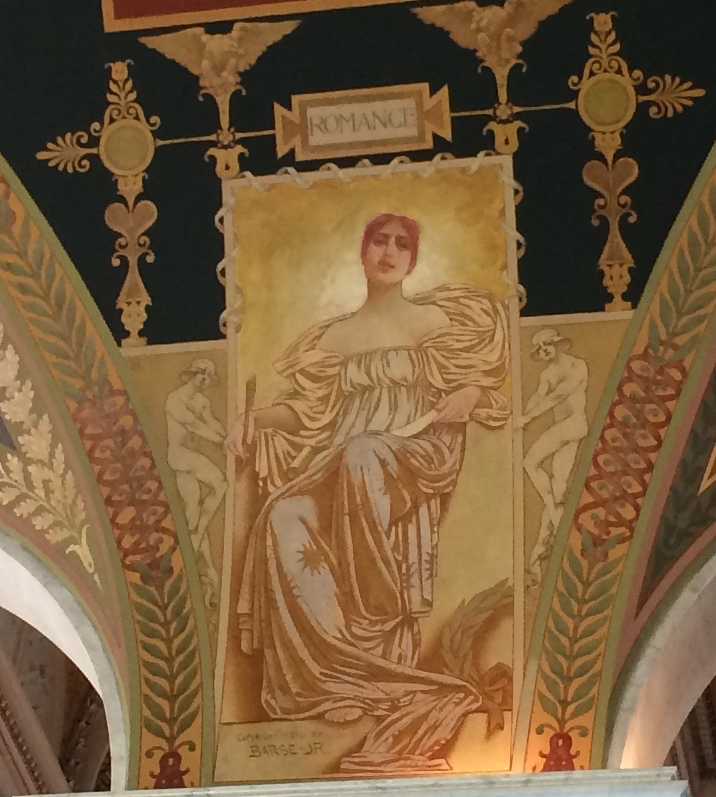 She, Annika, and I continued discussing the joys and challenges of writing as we briefly visited the painting of Romance and saw the Great Reading Room of the Library of Congress. When we returned to the meeting room for the second half of the day, we discovered she’d been sitting right behind us! The ever-charming historical romance author Eloisa James and me. 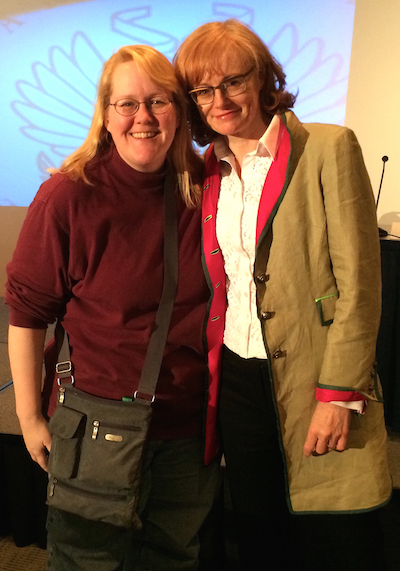 I also managed to work up the courage to ask Eloisa James for a photo with me. She was nothing but gracious, folks, a warm and welcoming lady who spoke so insightfully on many of the topics of the day (not that I was surprised). Spoke to the room, I mean, not to me – I was too star-struck to do more than grin like an idiot. All in all, it was a spectacular day, chock full of great discussions, useful information, and wonderful people. Thank you so much to the Library of Congress and to the Popular Romance Project for putting on this program and hosting us all. Well done, and thank you to all who helped put on this marvelous production. This entry was posted in All About Romance and tagged books, Eloisa James, Library of Congress, Love Between The Covers, Popular Romance Project, romance, What Is Love?, writing by Margaret. Bookmark the permalink. Thanks so much for sharing, I wasn’t able to attend and this gives me great insight. What a wonderful experience! Thank you for sharing. Thanks for commenting – yes, it was terrific. Makes me yearn to attend the RWA, but that one is not in the cards this year. Some day, right? Great write up! Better than the WaPo’s, imo. Thanks, Kathryn – that’s very kind of you! I know I missed a number of points, but was still hoping this might be of interest to anyone who wasn’t able to make it to the conference. What a great write up – thanks for posting for those of us who could not be there. Hi Margaret! Great write-up. The conference was amazing – so many great conversations. Hi Kim – Such a delight to hear from you. I enjoyed listening to you at the conference; perhaps at the next one, I’ll work up the guts to talk with you and Eloisa in a halfway coherent way, instead of just fangirling. And I agree; wonderful conversations with amazing people. Thanks Margaret! I’m glad you enjoyed the screening and the conference. We were so glad to have such a huge and warm audience! And the conversation between the panelists and the audience was all we’d hoped for. I’m finally back in Boston (several flights got cancelled due to Boston’s endless snowstorms). Now, it’s time to finish the film!! Hi Laurie – it was such a delight to be there, and the documentary you have put together is extraordinary. I donated, and hope others are finding their way to the donation page so that you may finished up your fantastic project and get it out to the masses. And I don’t envy you being in Boston; here in Virginia we got our first snow worth shoveling, and I was reminded of how much I dislike shoveling. My brother- and sister-in-law live in the Boston area, though, so they are sharing your pain. Next → Next post: Flash Friday Fiction: Carpe Cattus!